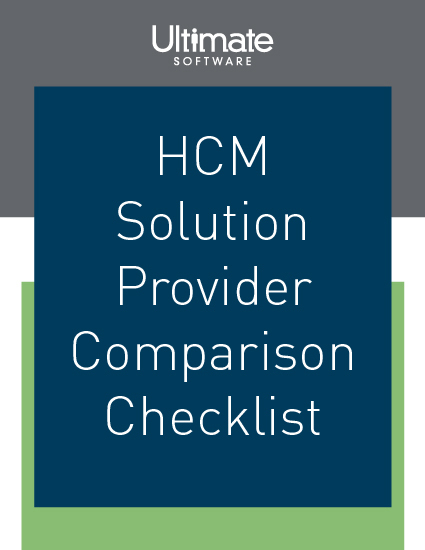 This easy-to-use evaluation tool will help you uncover the pros and cons of HCM solutions fast to make an informed decision. This checklist of attributes and features of a modern human capital management (HCM) solution will help you choose the best solution to fit your organizational needs. There is a lot to consider from solution launch to training management to customer support, and a lot of essentials that CANNOT be overlooked. Use our provider comparison checklist to uncover the pros and cons of each vendor to consider when purchasing a new human capital management solution. Please fill out this brief form to access your complimentary checklist.